It never fails, the fraudsters always claim I'm interfering with their right to rip people off, and it's always good for a laugh. I've never purchased anything from these clowns, don't know their names, and don't know where they live. I look forward to getting served a summons. It's a federal offense to sell fake name brand items on eBay, so it's time to file a complaint with the FBI cyber crimes unit. Below is an excerpt from a letter written by the lawyer representing Autographs America (no longer in business). AA believed they could take legal action against AllReaders for defamation and as you can see they were told that they would need to prove their autographs were real, and how they acquired them. They could not because they were not real. So to Oldtownch I say this, prove these counterfeit name brand watches you sell as WW2 war relics are real, and that they do come as you say from European auctions; I would love to see that proof. The reality is these watches are not famous brand WW2 Nazi relics, they are cheap garbage all made by the same company in the Ukraine, Poland, or perhaps even China. Oldtownch has been ripping off unsuspecting American buyers for years, and have made around a million dollars in the process. I will be filing a complaint against them with the FBI's Cyber Crime Unit. Selling counterfeit items as the real deal is a federal offense, and there are quite a few people sitting in prison that can attest to that fact. 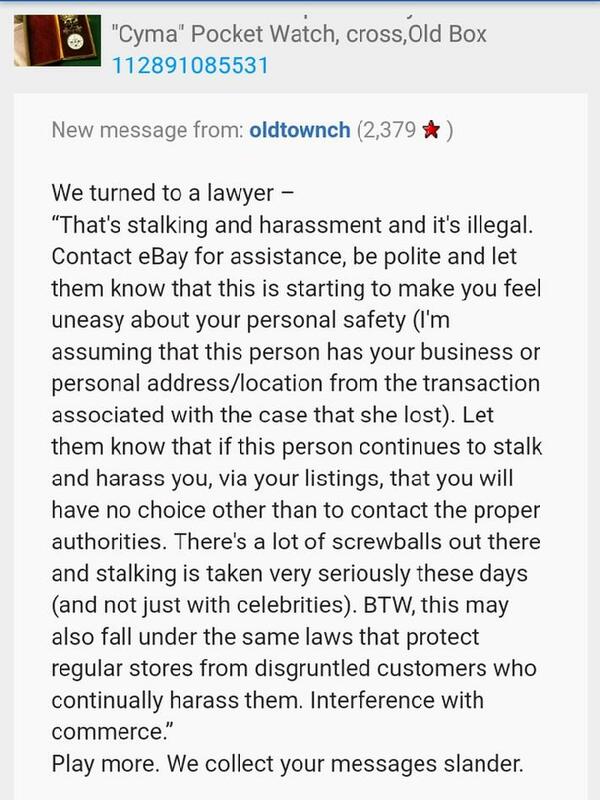 I would suggest that any of you who were ripped off by oldtownch also file a complaint against them with the FBI using the link provided above. I do however suspect they will vanish into thin air very soon. The links below will educate you on how you can be prosecuted and imprisoned for selling counterfeits on eBay.